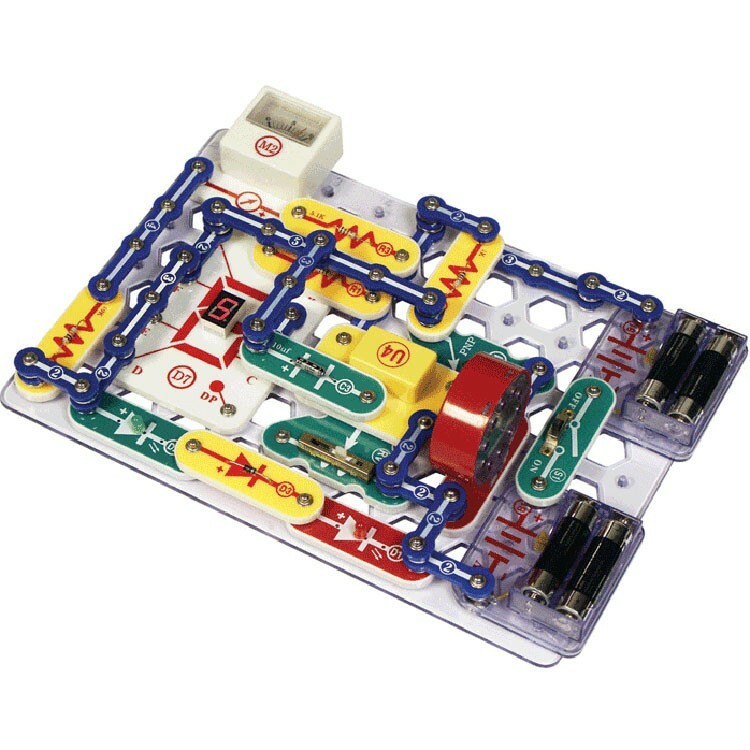 Educational Snap Circuits Pro 500 SC-500R is a great science exploration tool that allows students from middle school to high school learn electronic components in-depth. 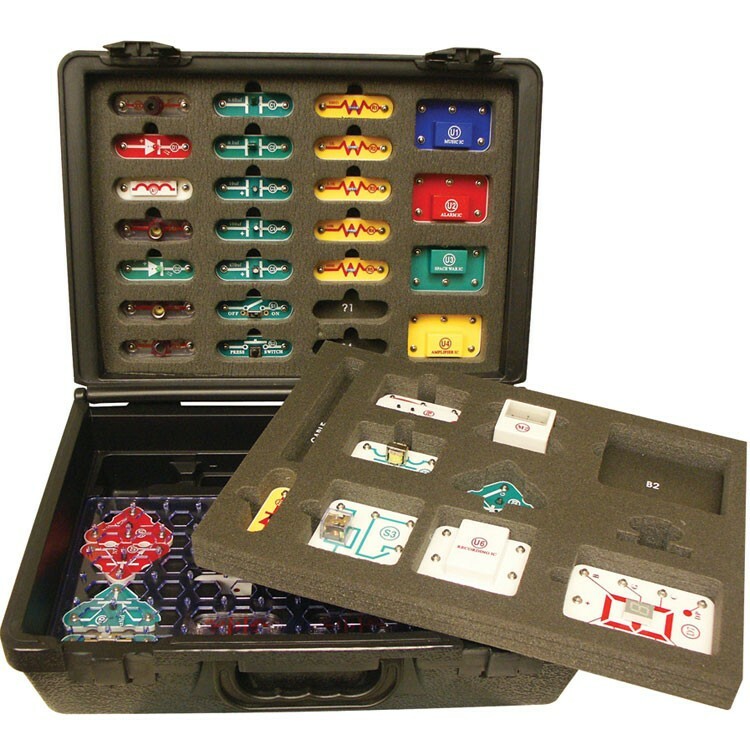 The bestselling Snap Circuits Pro 500 is now available in its educational version for student training. 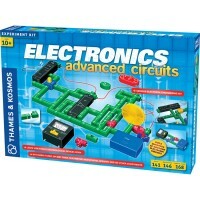 Teach the older children about wonders of electronics at home or school classroom. 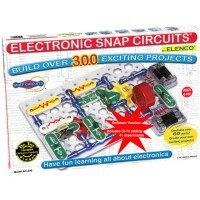 Educational Snap Circuits Pro 500 with Deluxe Case is a great science exploration tool that allows students from middle school to high school learn electronic components in-depth. 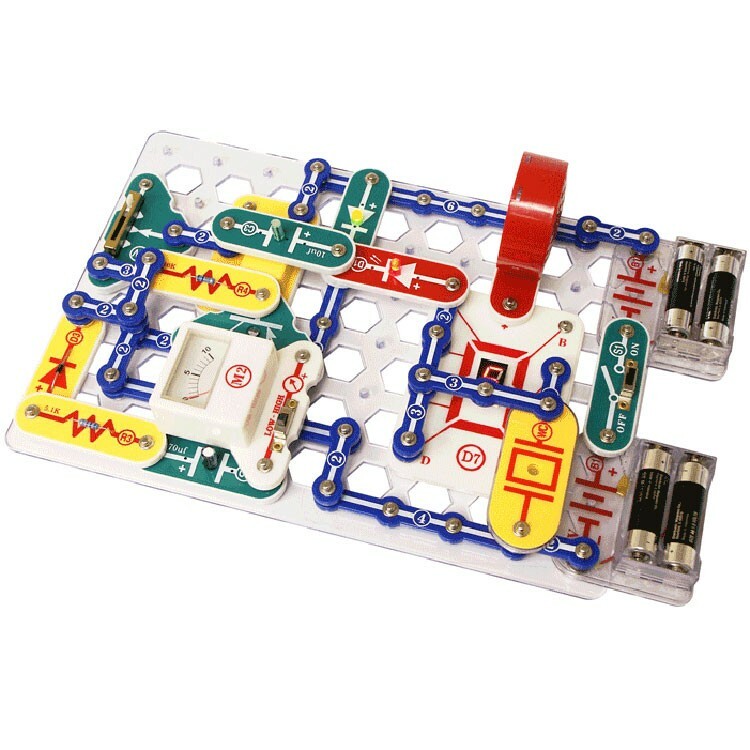 This snap circuit school kit lets children explore the following topics: resistors, switches, capacitors, circuits, transistors, motors, etc. 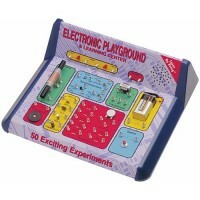 With this exclusive electronic kit from Educational Toys Planet kids can put together 500 science projects including building AM radios, doorbells, burglar alarms, lie detector, electronic games and many others. 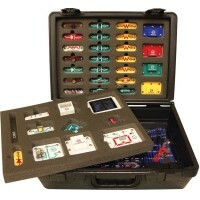 All the components store neatly in a lightweight durable case with special foam inserts. The carrying case eases the task of identifying missing components. 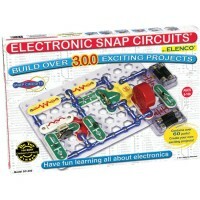 This teachers Snap Circuits 500 edition comes complete with 4 project books, Student Guide and Teacher Guide. 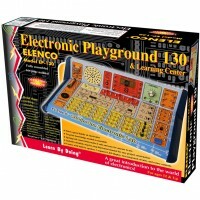 The Student Guide for this school electronic kit includes 180 pages of educational curriculum. 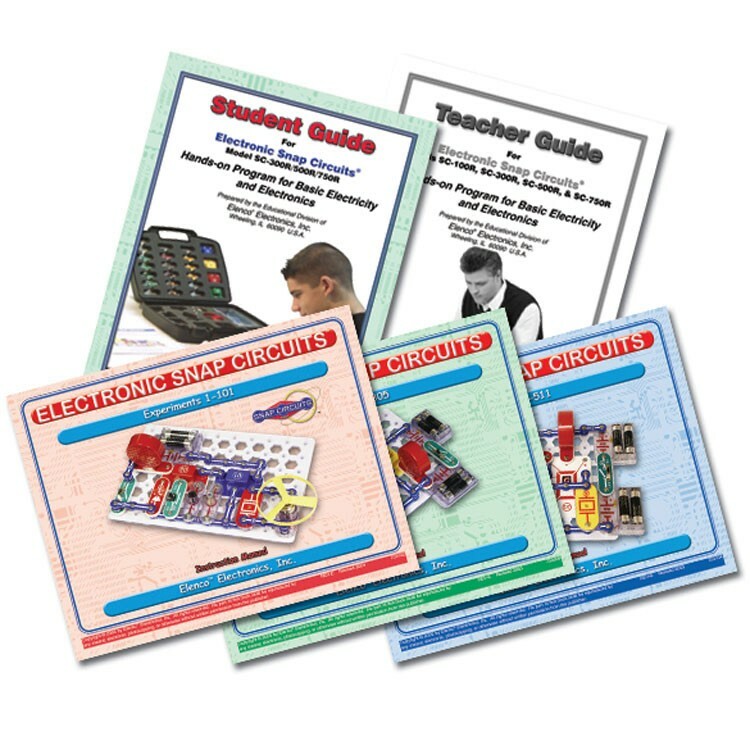 Created by educators, the Student Guide covers various topics in teaching electricity and electronics. The Student Guide describes real world applications of the electronic projects, and includes problem solving quizzes. 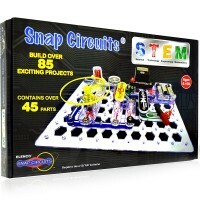 The enclosed in sc-500R Teacher Guide will assist teachers how to introduce snap circuit concept to students and guide them through projects and quizzes. Teachers can follow the manual instructions to download the software for the electronic projects. 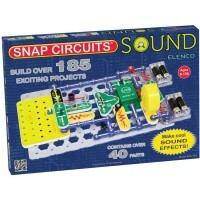 This school version of the Snap Circuit Pro SC-500 electronic set is popular for home school, middle school and high school science lessons. 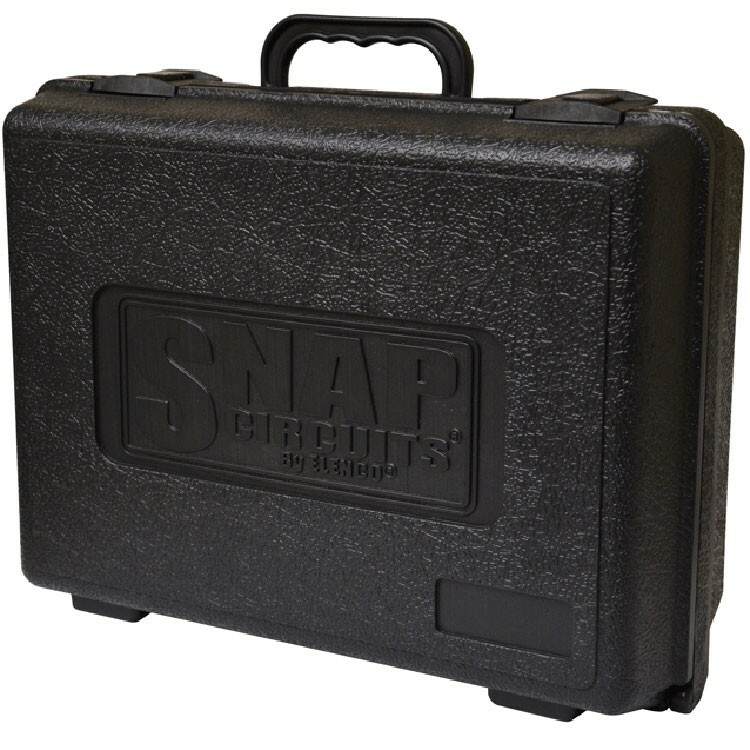 Let your students have hands-on fun learning the basic principles of electronics with Educational Snap Circuits Pro 500 with Deluxe Case. 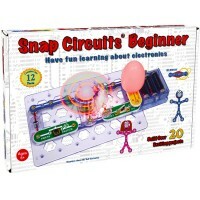 This snap circuit kits requires 4 AA batteries (not included). 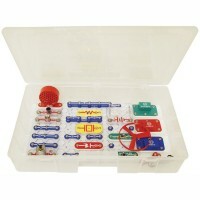 Dimensions of package 12" x 16.5" x 6.25"
Write your own review of Educational Snap Circuits Pro 500 with Deluxe Case.